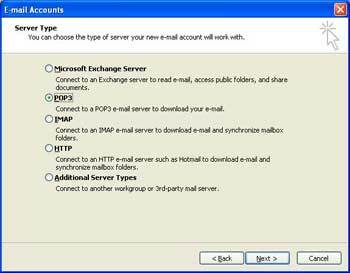 Open Outlook 2003. Go to Tools then select Accounts. 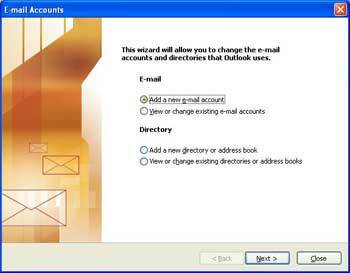 Click Add, and then select Add new email account. Click Next. Select POP3 then click Next. Enter all information in small letters, no spaces except “YOUR NAME”. Password: Password Prairie provided to you. Checkmark remember password. 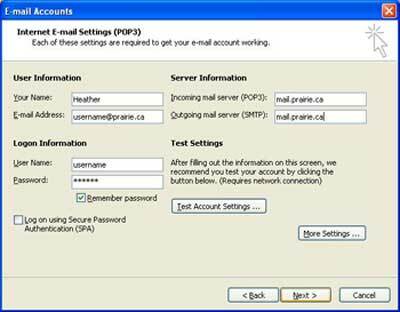 Incoming Mail Server: mail.prairie.caOutgoing Mail Server: mail.prairie.caDouble check that you have prairie spelt P-R-A-I-R-I-E.